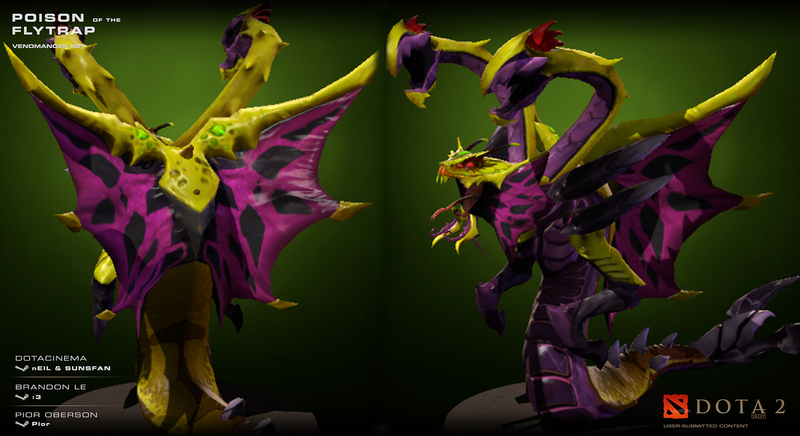 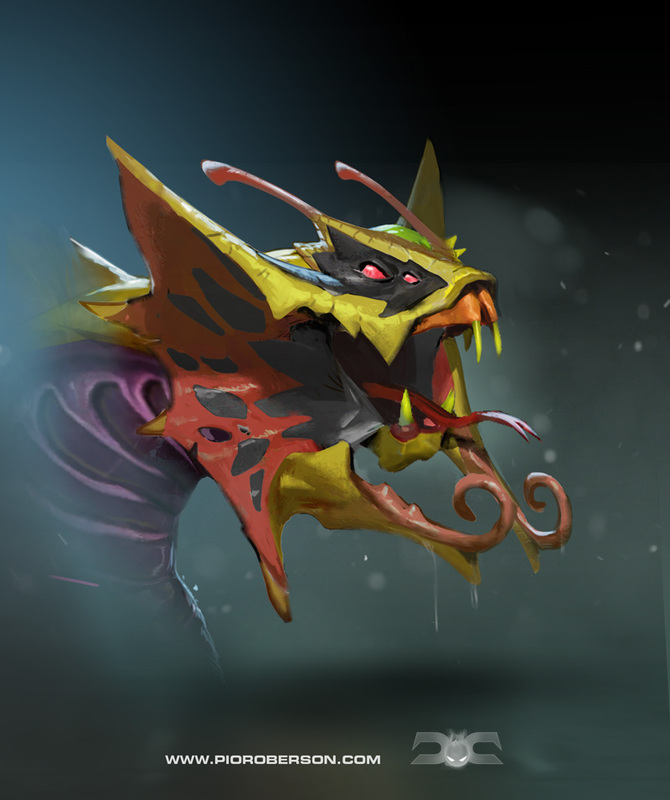 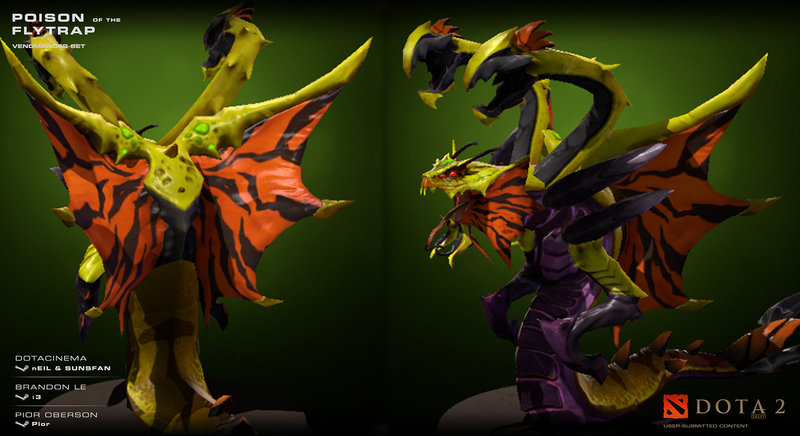 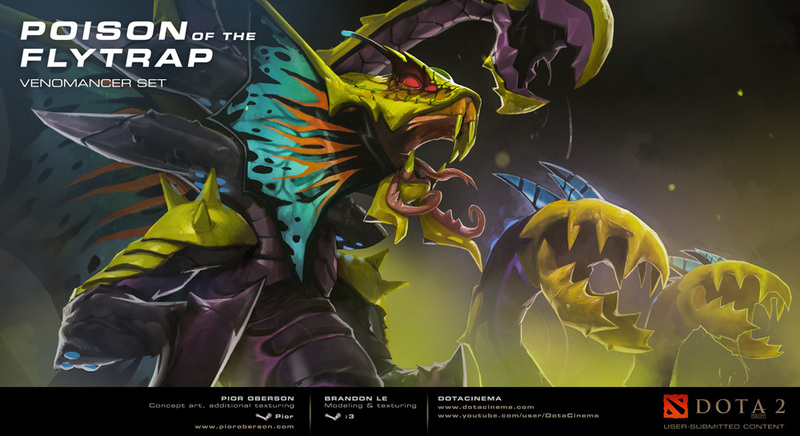 A Dota 2 set for Venomancer created in collaboration with Brandon ‘Random Smiley Face’ Le. 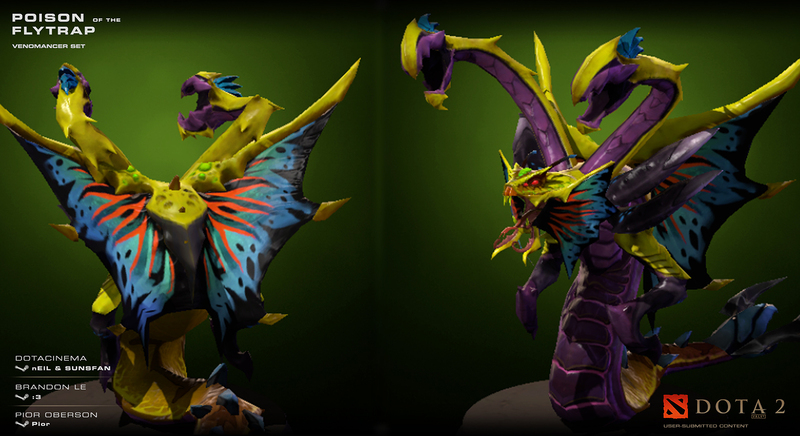 This set was created for the Dota 2 Youtube channel DotaCinema, as part of the DotaCinema Chest submission. 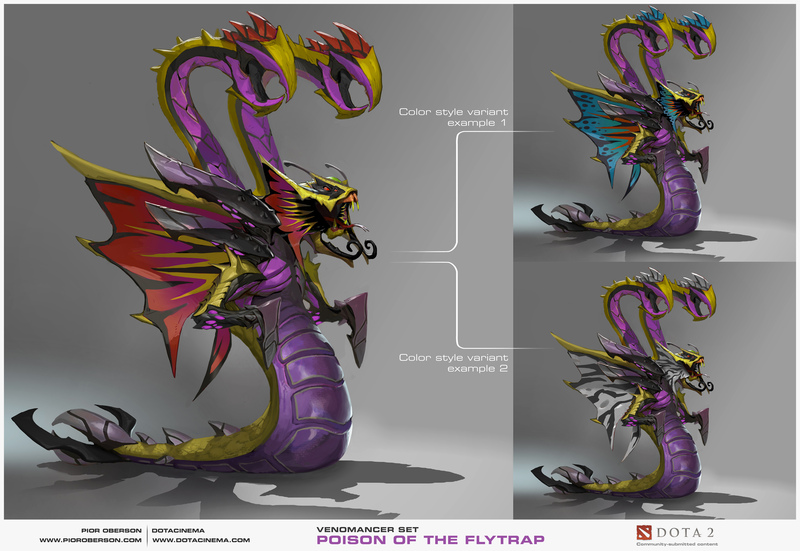 I took care of creating concept art and the composite illustration shown above, painted on top of the final game model. 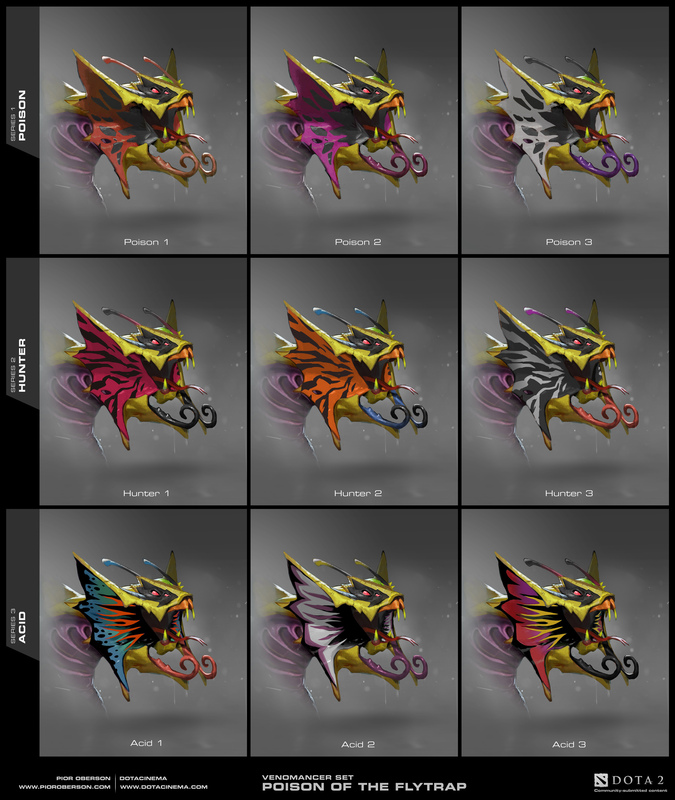 A total of 9 visual variants were created and then voted on by the DotaCinema followers, to decide on the selected 3 to be eventually made for the model. 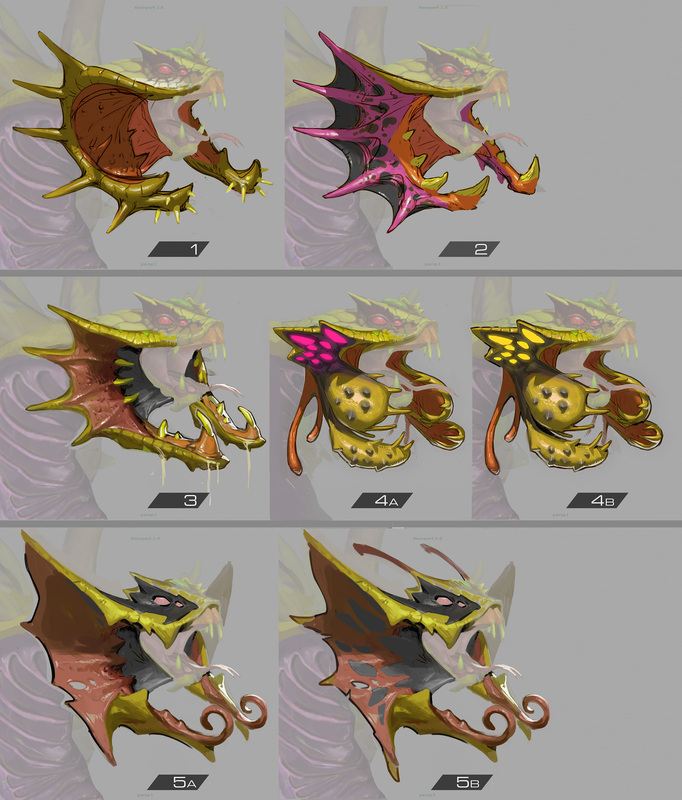 The set also comes with custom mouse cursors ! 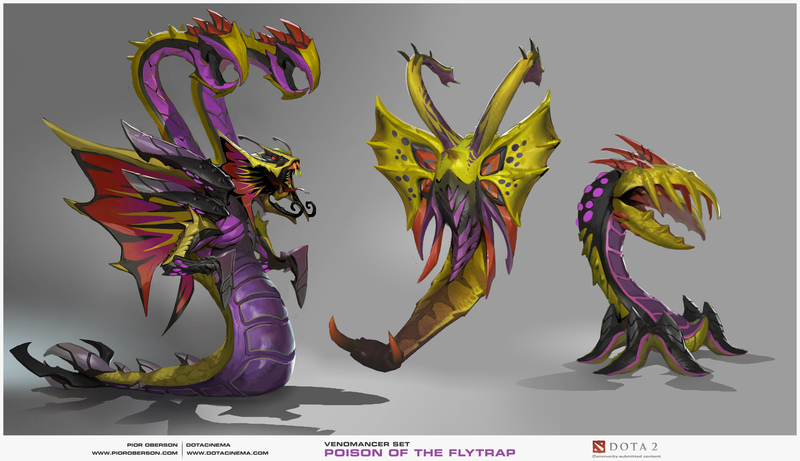 Brandon Le was in charge of high resolution Zbrush sculpting, polypainting, lowpoly modeling and rigging.